Submit your catfish pictures here. 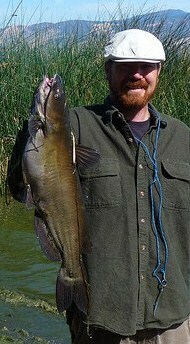 Were you able to capture the moment of landing a nice catfish? Well, we would most definitely like for you to share the experience with us and the rest of our visitors. Send in your favorite snap shots!... The best of your greatest, or the worst of your most miserable catfishing moments! Have a look through catfish photos uploaded by other contributors. And rate and comment on their pics and stories behind their catch. All submissions are welcome and much appreciated. Follow the links below to check out catfishing pictures and stories submitted by some of our faithful fans. You might happen to recognize a few submissions that had been entered into one of our past fishing picture and story contests. Do you have catfish pictures? A cool story about your catch? A memorable adventure? Or some additional advice, tips and techniques to help other visitors. Share them here with the rest of the world! It will be turned into your very own web page! Brag and boast as much as you would like. And show it off to your fishing buddies. To get started, enter a cool title below, then click on the link to continue with your submission process. Entering your story is easy to do. Just type!... Provide details, preferably around 300 words if possible. Not enough? Want to see more? 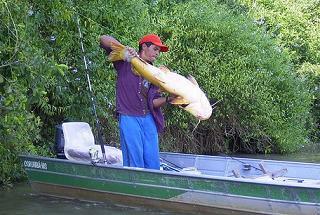 Check out more cool pictures of catfish by following the link. Be sure to come back here when you're finished to share your barbed face whiskerfish flicks.